December is a month full of potlucks and parties. I’m going to do a short series of posts on easy dishes you can bring if (like most people) you’re short on time this month. All of these dishes have mostly disappeared at every party I’ve brought them to. 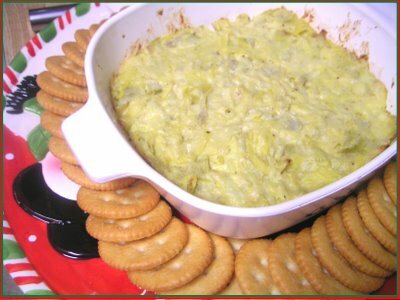 First up is an easy artichoke dip. 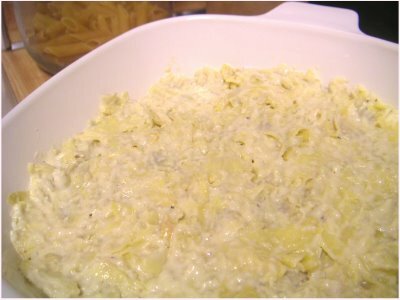 A traditional artichoke dip is just artichokes, parmesan and tons of mayo. I don’t like it too rich so I use about half the normal amount of mayo and parmesan and add a few spices to give some extra flavor. Drain the artichokes well. Cut them up or separate and mush them with your fingers (if you’re lazy like me and don’t want to wash the cutting board and knife).